Utada Hikaru was a teen-ager when she released her debut album in 1999. My how they grow up, and damn am I old. Around the time Juanes released his third album, Mi Sangre, I was more in the frame of mind for rock en Japonés than rock en Español, but streaming services have allowed me to catch up and rekindle my interest. 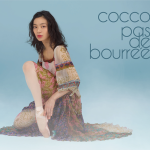 Cocco releases are few and far between these days, so a mini-album after three years is better than nothing. Kylie Minogue takes a Duran Duran approach to albums — the scaffolding is much the same, but the details differ from one album to the next. That makes comparing Fever to X, or Body Language to Aphrodite unproductive. So too I imagine with this album. 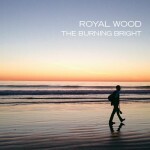 Yeah, Royal Wood has a great voice and his songs are rather good. But allow me to be shallow and mention that he’s really, really pretty. This trio made arrangements of Gyórgi Ligeti etudes. They have the moxie to tackle Stravinsky. Matthew Cooper of Eluvium + Mark Smith of Explosions in the Sky = post-rock super duo. I wouldn’t have started listening to country music if it weren’t for this album. The Deluxe Edition includes outtakes and a documentary DVD of the making of the album. Matt Alber has been two for two in making the year-end Musicwhore.org Favorite Edition list. Will he make it three for three? I’m hoping the mirth Natalie Merchant displayed at her show with the Seattle Symphony in 2011 makes its way to her second album for Nonesuch.